Cat hiding, why and what you can do? Why do cats hide and what can you do? Recent changes at home (new furniture, redecorating, moving home, renovating)? Visitors, new family member, new pet at home? Competition or tension with another cat? Plug in your cat’s favourite room for at least 30 days. 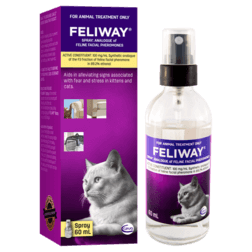 Spray on the hiding places to make them more safe and secure to your cat. Why do cats hide excessively? Cats usually hide more when they feel threatened. 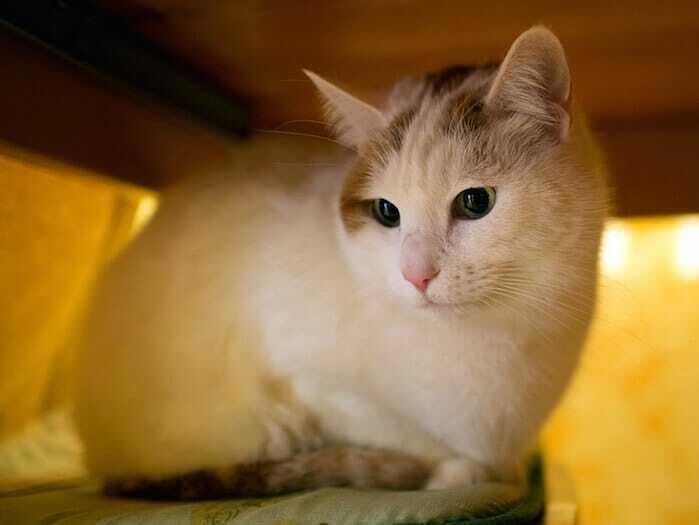 Another pet in the home or nearby: cats don’t like sharing resources like litter boxes or food bowls. This may cause the cat to hide. Recent change in your routine - has your usual schedule changed? Are you home less? Also, several medical conditions cause pain or discomfort and may be a reason for your cat to hide. If you cat spends most of its time hidden, check with your vet. Do not stroke your cat during hiding. You may accidentally increase your cat's hiding with your loving attention. Wait for your cat to spontaneously come out and ask for cuddles. Reward your cat for brave actions shown during potentially challenging situations. This encourages them to be brave again. If you have several cats, give each cat their own food bowl, water bowl, litter box, etc. Put them in separate areas to avoid tension caused by competition (to separate, you can put bowls on different levels: one on the floor and one on a higher spot). 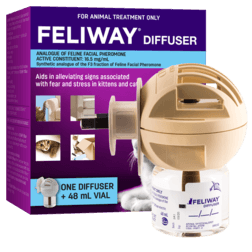 Using FELIWAY Diffuser will help keep your cat feeling secure and playful.